Within every sales professional is a primal, quota-crushing beast. It cannot abide the irritation of manual commission reconciliations and other distractions. The sales beast cares only for the hunt. The beastmaster, meanwhile, has no time for tedious compensation routines or inferior, time-consuming tools like spreadsheets. For a successful hunt, the beastmaster needs to wipe out every possibility of sales downtime that trivial administration and clunky processes may cause. The beastmaster needs to unleash the beast. The beastmaster needs automated sales compensation. 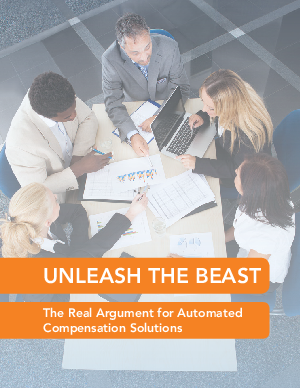 Sales compensation automation creates visibility, scalability, and simplicity. It solves critical problems, including mitigating administrative costs, improving data accuracy, providing for system scalability, creating sales insight, driving higher morale, lowering churn among the sales team, and being able to rapidly adapt to organizational and market shifts.